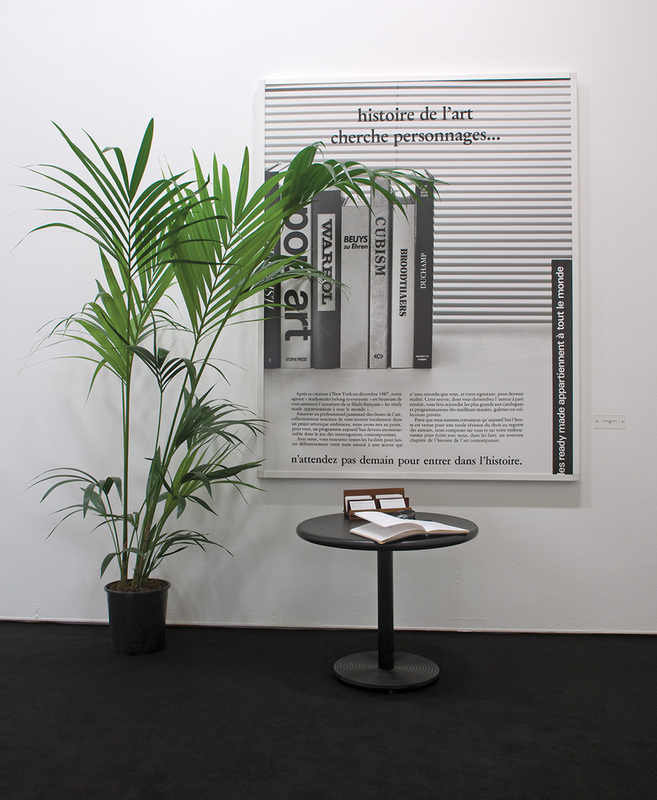 Philippe Thomas, Pétition de principe, 1988, photographie noir et blanc, cartel, guéridon, porte-cartes, cartes de visite, stylo, livre d’or, palmier, dimensions variables. Collection M.J.S., Paris – Dépôt Collection Musée d’Art Moderne Grand-Duc Jean, Mudam, Luxembourg. 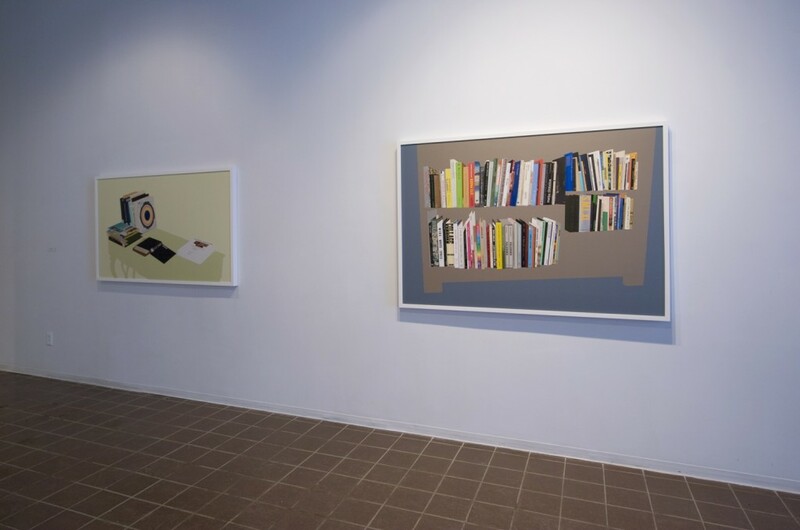 Brandon Lattu, Library: Dining Case (Inside), 2006, c-print, 159 x 110 cm. Courtesy of Monte Clark Gallery, Vancouver. 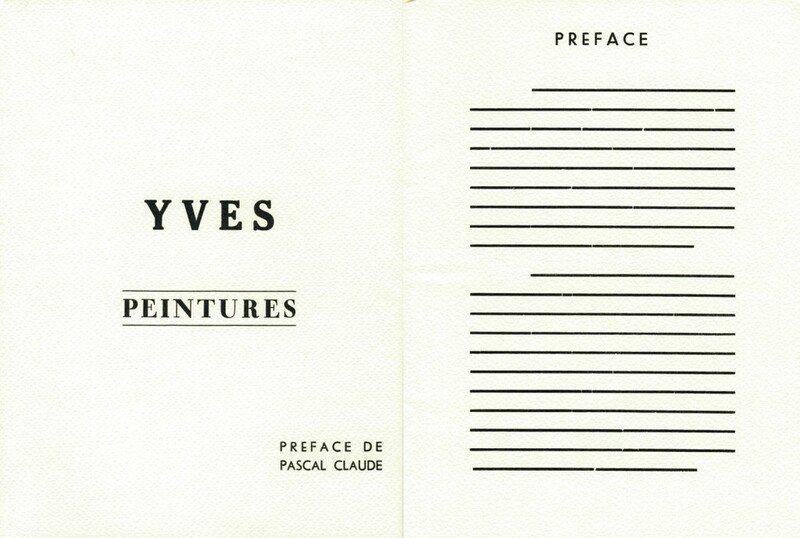 Yves Klein, Yves Peintures, détail tiré du fac-similé du catalogue de 1954, Paris, Éditions Dilecta, 2006. Avec l’aimable permission des Éditions Dilecta. 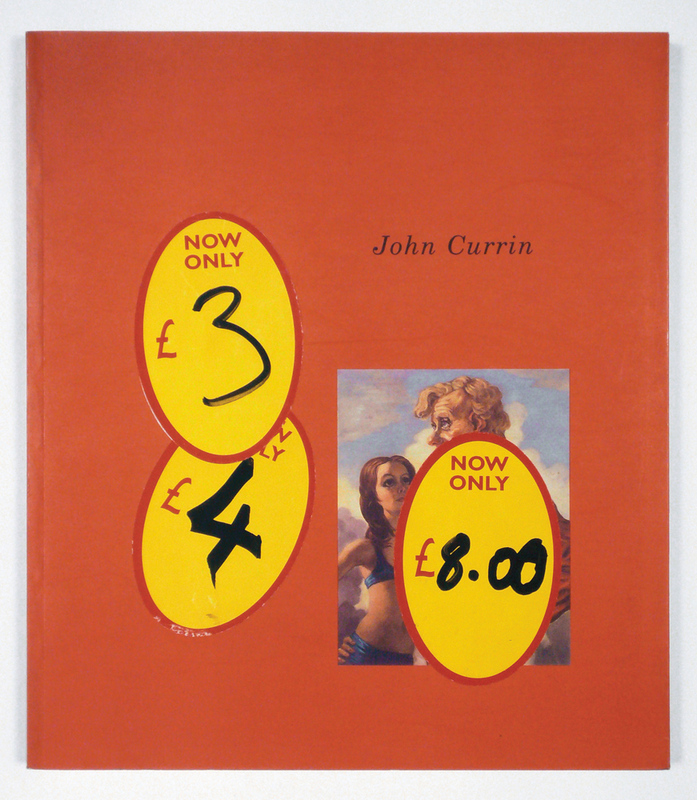 Matthew Higgs, Photograph of a Book (John Currin), détail, 1999, épreuve couleur, 42 x 37 cm. Courtesy of Murray Guy Gallery, New York. 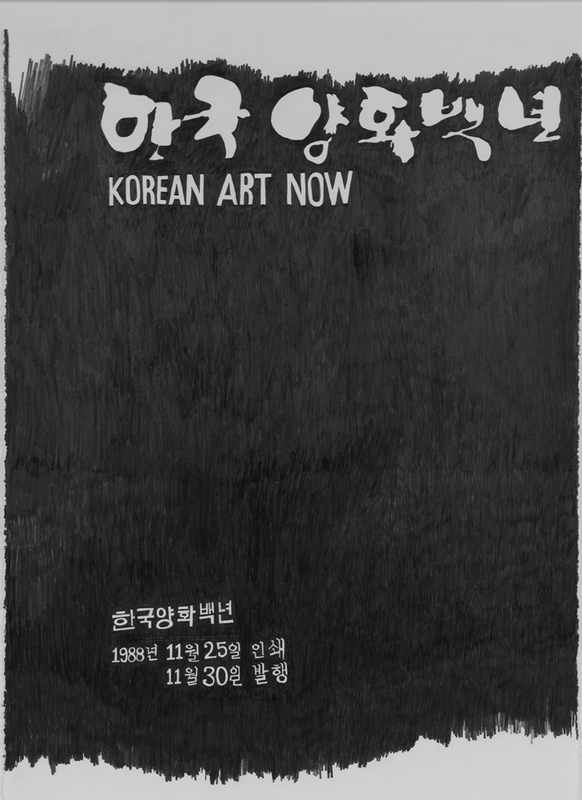 Thérèse Mastroiacovo, Untitled (Korean Art Now, 1988), 2006, de la série ART NOW, graphite sur papier, 56 x 76 cm. Courtesy of the artist. 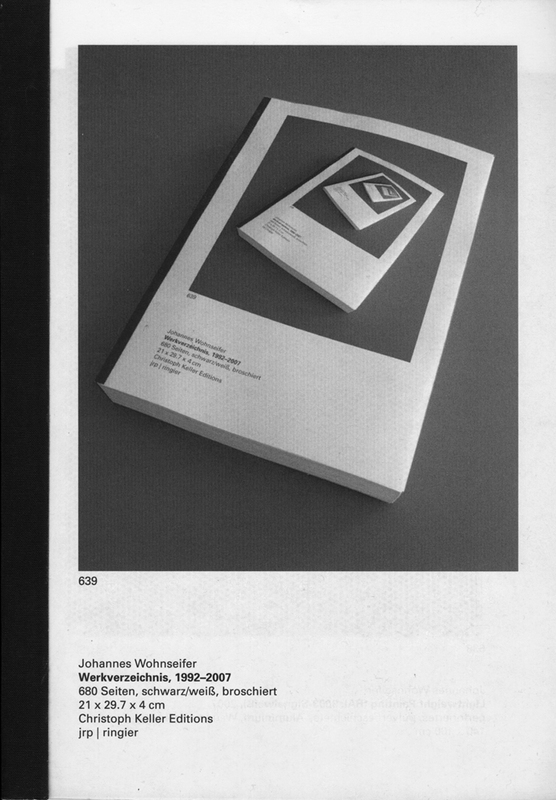 Johannes Wohnseifer, Werkverzeichnis: 1992-2007, (couverture), Christoph Keller Editions, JRP Ringier, 2007. Courtesy of galerie Johann König. Gilles Mahé, Gratuit, (page tirée du magazine), 1994-1995. Avec l’aimable permission du FRAC Bretagne. Jan Dibbets, contribution au catalogue de l’exposition Information, New York, Museum of Modern Art, 1970, p. 43. Avec l’aimable permission de l’artiste. 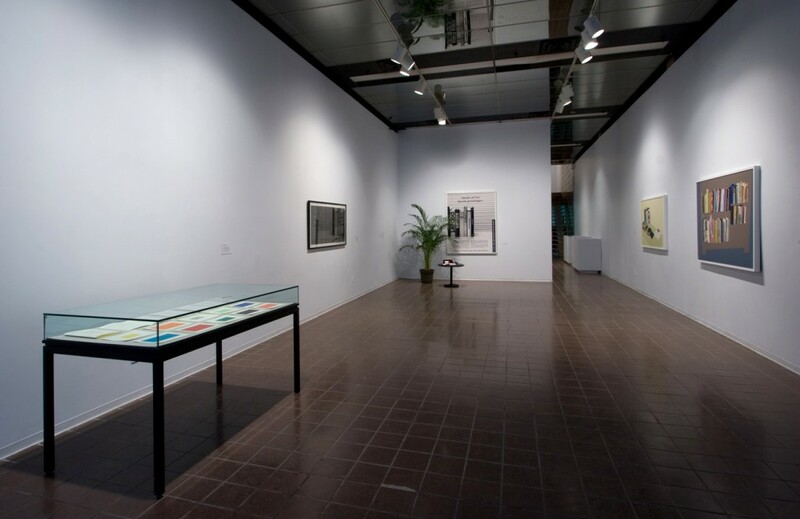 View of the exhibition Tractatus Logico-Catalogicus, VOX, from November 6 to December 13, 2008. An object of documentation, registration, mediation, reflection, promotion and valorization, the exhibition catalogue plays a crucial role in the world of art. 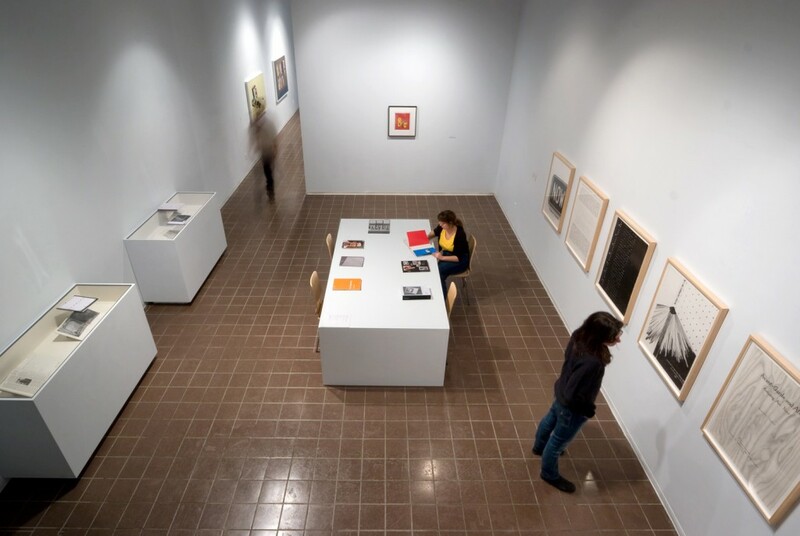 It functions alongside artworks and the exhibition of those works by granting them a degree of permanence while simultaneously guaranteeing their public existence. It also conditions the current or future perception of artworks via the content of its critical commentaries and the quality of the documentation and information it contains. Thus, not only is the catalogue a tool for mediation, but it is authoritative within the art system. This exhibition, which borrows its title from a work by Marcel Broodthaers, brings together for the first time a selection of artworks—from 1954 to the present day—in which the catalogue is the principal object or subject. These stances elaborate a critical reflection on the catalogue that aims to question its forms, functions and uses. 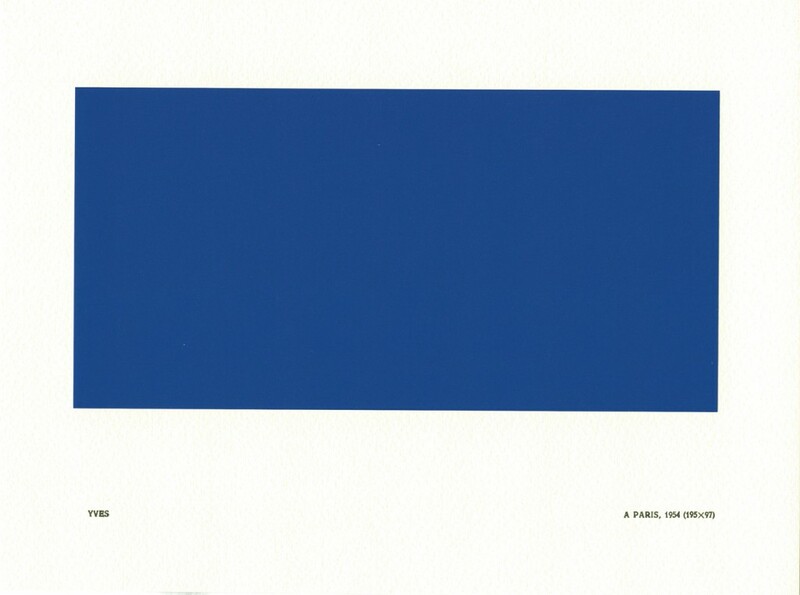 — Birth of the genre: Yves Klein creates his initial work, Yves Peintures and its twin Haguenault Peintures in 1954, parodying the classic catalogue. These publications consist of ten monochromatic plates with a preface attributed to Pascal Claude. The “reproductions” do not refer to any original works, while the text of the preface has been replaced by black lines. Klein is commenting on the authoritativeness of the catalogue and its legitimization of artists and those who hover around their production. “He denounces the illusionistic nature of this system all while creating a reality that apparently complies with its standards” (Marion Hohlfeldt, “Yves Klein. L’éloquence du silence” [freely translated]). — Other “catalogues” as artworks: In the early 1960s Ed Ruscha produces a series in which he assumes the duties of the editor, and creates works in the form of publications. He favours a mode of commercial production that sets them apart from the traditional artist’s book, usually quite valuable and issued in limited editions. 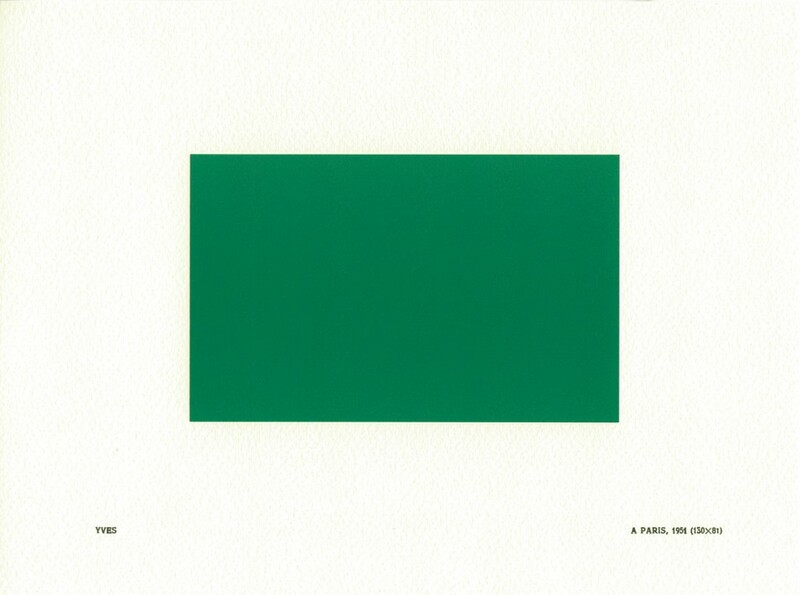 See also the booklets created by Hans-Peter Feldmann using a similar mode of production. — Radical criticism of the catalogue: In 1966, Argentine artist Roberto Jacoby creates a catalogue for an exhibition that does not exist. He seeks to draw attention to the “illusory power” of catalogues, referencing Barthes, who had examined advertising as a purveyor of modern myths. (see Mythologies, 1957). — Institutional critique: See Jan Dibbets’s contribution in the catalogue of the exhibition Information, MoMA, 1970. 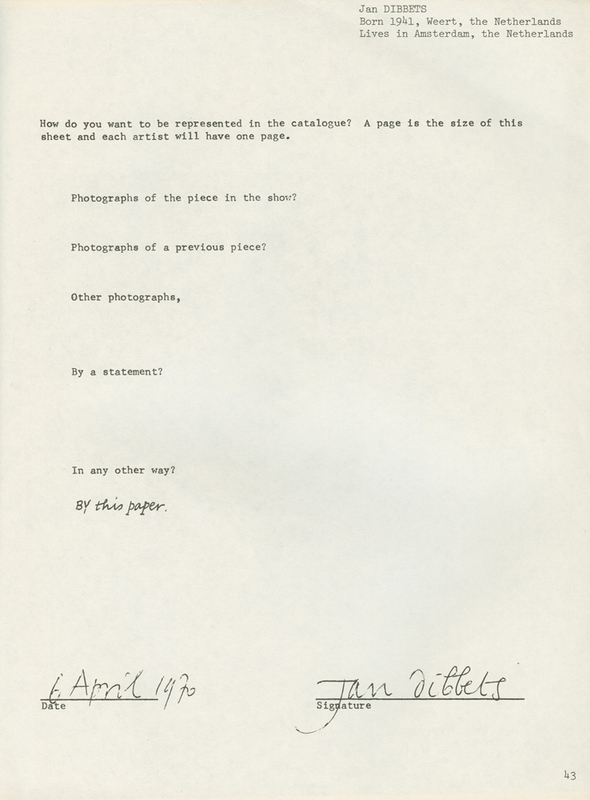 — The catalogue in picture form: Marcel Broodthaers produces Tractatus Logico-Catalogicus (1972), which presents the print proof of 12 pages of his catalogue (as a negative and with crop marks). The image becomes the supplement to the catalogue while simultaneously helping to highlight it. Broodthaers provides a painstaking description of his works (67 documents that include deletions and corrections)—in so doing, he parodies the exhaustive detail and institutionalizing character of catalogues raisonnés. — The catalogue as visual referent: Gilles Mahé publishes the portrait of an institution (FRAC Bretagne) as seen through its collection of catalogues. 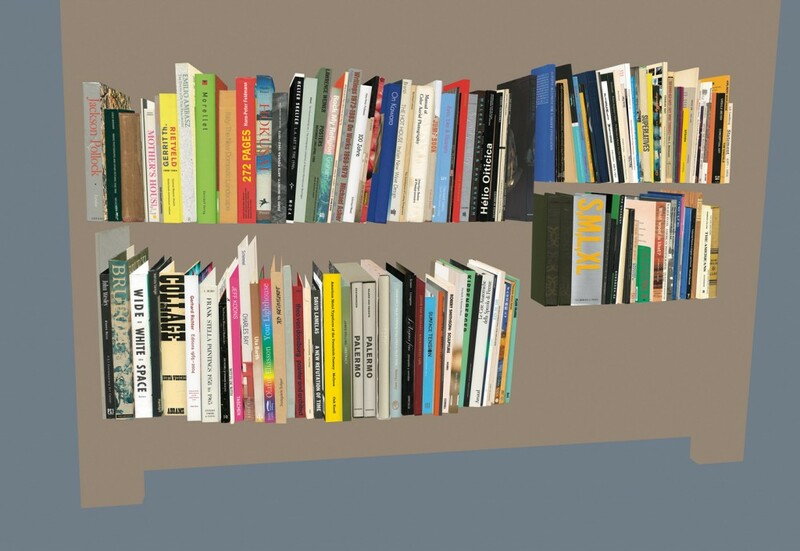 Brandon Lattu’s Library project also features a collection of catalogues and books (his own), but his approach is different in that it accentuates the visual and empirical perception produced by the “reading” of them in a library. — The image of relevance conveyed by the catalogue: Thérèse Mastroiacovo creates a series of drawings (ART NOW, 2005–) that reproduce the covers of works containing the words ART and NOW. They function as a critical point of view on the authoritative value of these catalogues and their pretence of absolute representation of contemporary artistic production. 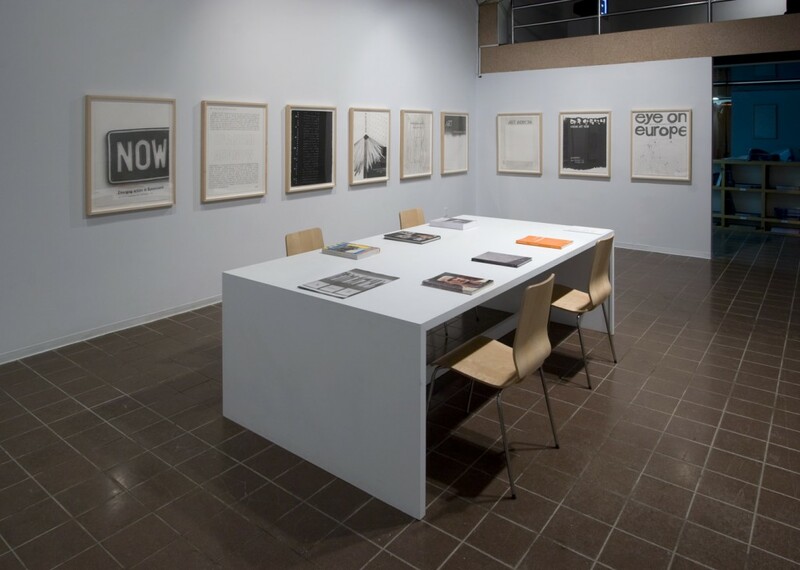 — The promotional role of the catalogue: Ron Terada self-reflexively exposes the funding methods that supported the production of his monograph. 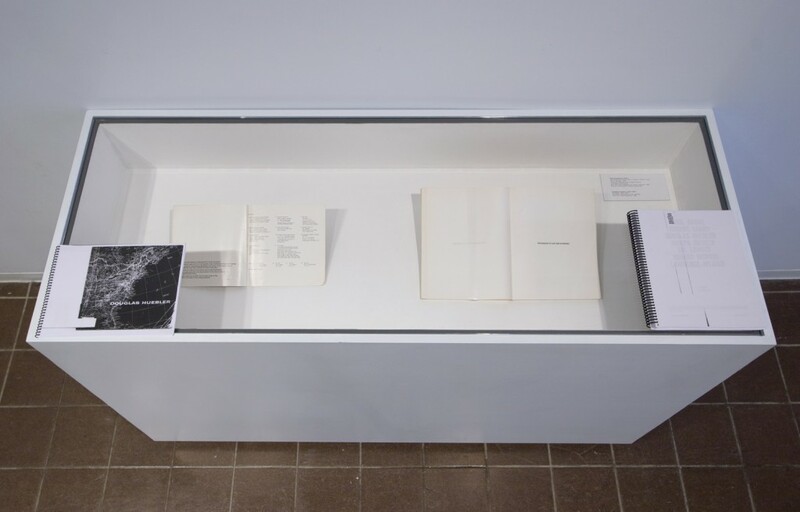 — The(s) system(s) of cataloguing: In Werkverzeichnis: 1992-2007, at once a catalogue raisonné and an “artist’s book”, Johannes Wohnseifer entrusts the structuring of his creation to a database-management software program that becomes the exhibition curator. 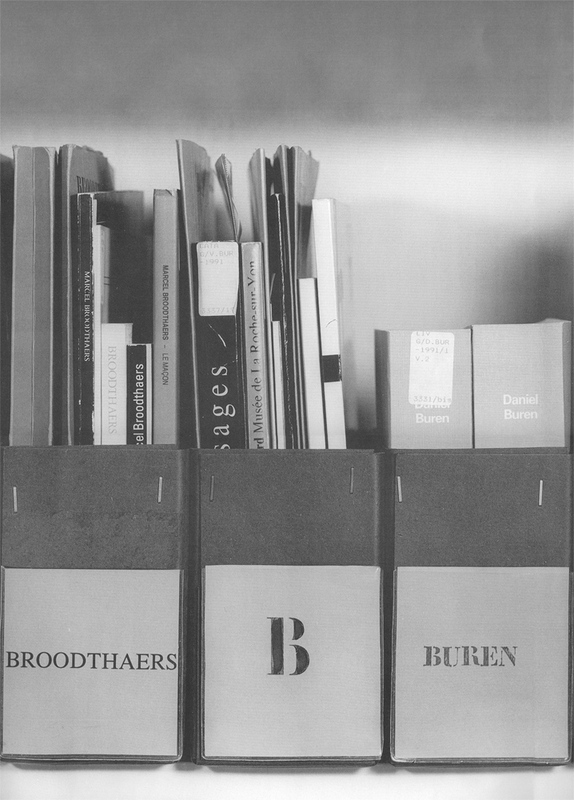 — The appropriation of the catalogue: Discuss the use of the dustjacket by the artists.